On April 12, 2017 at 1:32 AM, an officer with the Middleton Police Department was parked in the 6400 block of Century Avenue when he heard the sound of a vehicle striking something nearby. Upon investigating further, it was determined that an eastbound vehicle on Century Avenue struck the center median, flattening two of its tires, and continued on without stopping. A short time later, the officer located the vehicle disabled several blocks away. The driver was identified as Ahmed Faouzi, 52, of Madison, who has six prior convictions for Operating a Motor Vehicle While Intoxicated. Officers noted that Faouzi was displaying signs of impairment by alcohol, including slurred speech and a strong odor of intoxicants. 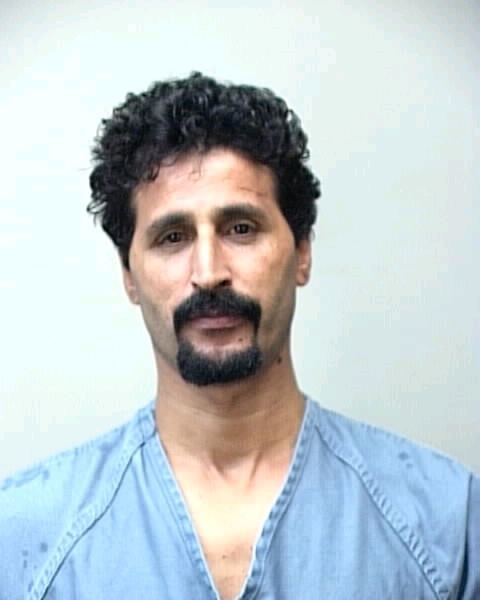 Faouzi refused to perform field sobriety testing and was arrested for 7th offense OWI, a felony, and booked into the Dane County Jail.